Today I am going to show you, how to use the Google Analytics Usage Trends tool to visualize data. I will also explain the basics of trend analysis and trend lines, so that you can take maximum advantage of the ‘usage trends’ tool. 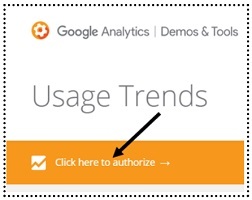 The Google Analytics Usage Trends tool has been around, for a while. So it is not exactly a brand new tool. But for many of you, it may be the first time, you have heard of this tool. The tool is used to visualise ‘trends’ in your Google Analytics data. So basically this tool is used to perform trend analysis. Now some of you, may not be familiar with trend analysis. So let me give you a brief overview of what trend and trend analysis are. A trend is a movement in a particular direction. A trend can also be: short or seasonal, intermediate or long term. The longer the trend the more significant it becomes for analysis. For example, a three months long trend is not as significant as a three years long trend. 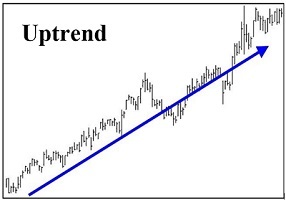 Now when we do trend analysis, we used something called the ‘trendline’. 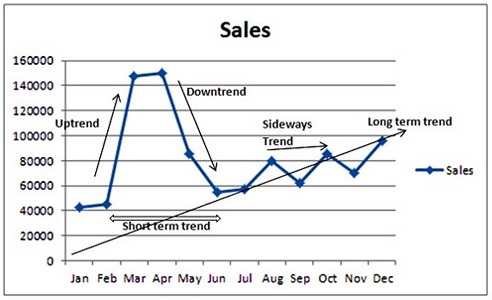 You can manually add a trend line to a chart via MS Excel. 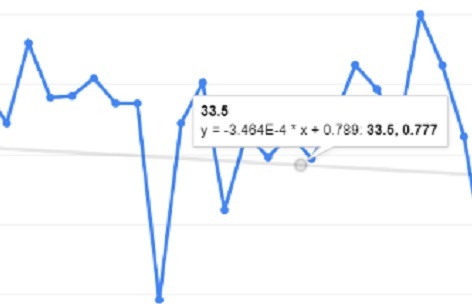 But the Google Analytics Usage Trends tool automatically adds trendlines to its charts. So you don’t need to manually add trend lines here. Now I will not be covering these trendlines in great detail here. You just need to be aware that, there are different types of trendlines and the trend line used by the Google Analytics Usage Trends tool is the ‘linear trend line’. A linear trend line is used, if your data set is linear i.e. it resembles a straight line and the data values are increasing or decreasing at a steady rate. Here ‘m’ is the slope of the straight line and ‘b’ is the y-intercept. The other two numbers are the value of ‘X’ and ‘Y’. Now I can’t go into detail about explaining slope and y-intercept here. Otherwise it will become a course on ‘Statistics 101’ and we don’t have that much time. 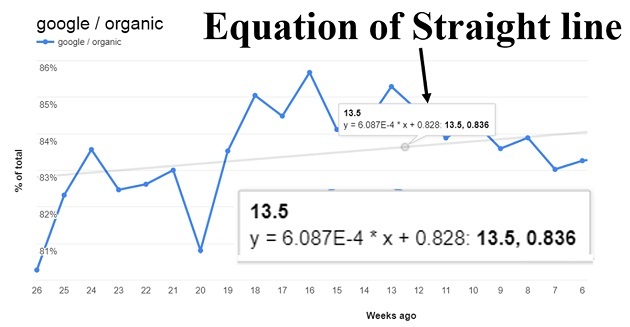 What you need to remember here is that, whenever you see such equation being displayed over a trendline, it is the equation of the straight line. You don’t need to stress about how this equation is calculated. Google Analytics is doing all of these calculations for you. Just remember that, whenever you see such equation being displayed over a trend line, it is the equation of the straight line. Now you may be wondering, what is the advantage of using the ‘usage trends’ tool. 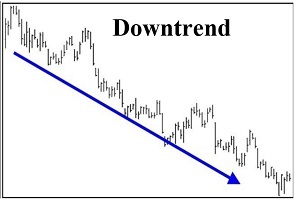 What is the advantage of doing trend analysis? Trend analysis is a very important part of analyzing data. The true insight is hidden in a trend and not in raw numbers. #1 You can measure the performance of a marketing campaign over a long period of time. For example, you can determine whether organic search traffic has increased or decreased in the last 1 year. #2 You can compare the performance of two or more marketing campaign over a long period of time. For example, you can determine whether organic search traffic has increased or decreased in the last 1 year and also how it has performed in comparison to paid search traffic and traffic from social media. #3 You can understand change in consumer behavior over time. For example, you can determine whether the mobile usage is growing faster than desktop usage for your website. #4 Through trend analysis, you can determine potential problems with current optimization program and marketing practices. So for example, if you see a downtrend in organic search traffic then you know, you have to speed up your website SEO. #5 Trend analysis helps in determining where current business operations and marketing practices could take you. Negative trends act as a warning of potential problems with current practices. #6. Trend analysis can help you in refining business decisions and strategies. We develop strategies which respond to the identified trends. Moving with positive trends and not against them can lead to more profit. #7. Through trend analysis, you can predict future outcomes and events. Such as what the sales for the second half of the year, is likely to be. Now you understand what trend analysis is, and why you should be using the Google Analytics Usage Trends tool,……..lets jump straight into using this tool. 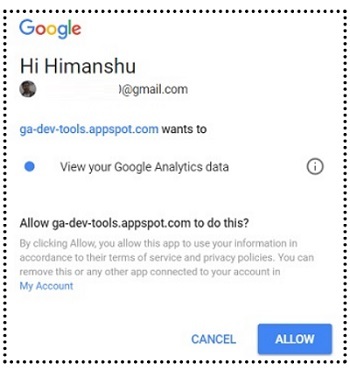 Type ‘Google Analytics demo tools’ in your browser address bar. Click on the ‘demo tools’ link in the search result. Click on the ‘Click here to authorize’ link. If you are not already logged in your Google account then Google will ask you to login first. 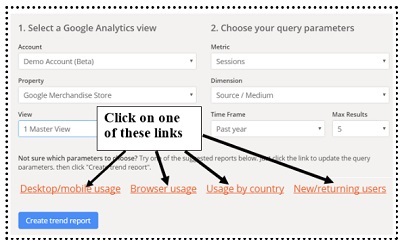 Each of these four links correspond to particular dimension in Google Analytics. For example, the link ‘Desktop/mobile usage’ corresponds to the ‘Device Category’ dimension. Similarly, the link ‘Browser usage’ corresponds to the ‘Browser’ dimension. Let’s set the dimension to ‘source/medium’ from the drop down menu. Now click on the ‘create trend report’ button. Here the dimensions are displayed as the total percentage of the metric, you selected earlier. In our case the selected metric is ‘sessions’. 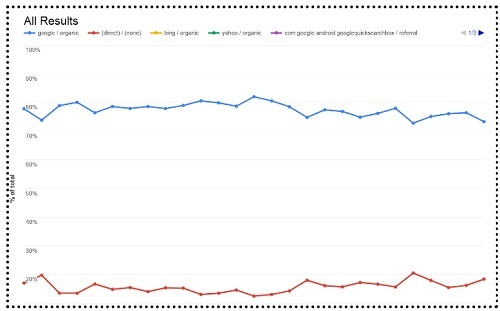 For example, from this chart, we can conclude that, the traffic from Google organic search fluctuated between 75 to 80% of the total traffic of the website, in the last one year. Similarly, direct traffic fluctuated between 15 to 20% of the total traffic of the website, in the last one year. The X-axis is the time frame measured in number of weeks ago. So here you can see trend, from 0 to 52 weeks ago, which is equivalent to a year. The Y-axis is the percentage of total, of whatever metric you selected earlier. In our case the selected metric is ‘sessions’. So now you know, how to read this chart. As you can see, the trend line appears in the ‘Result breakdown’ chart. Note the Y axis here. It does not start from 0%, which can give you the illusion that the change is significant. So watch out for that. If you scroll down further, you can see another ‘Results Breakdown’ chart. This one is for direct traffic. This one is for bing organic traffic. This one is for Yahoo organic. Now a quick note about the number of results you can see via the usage trends tool. 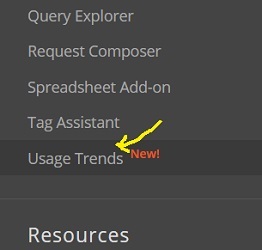 By default, the usage trends tool show 5 results at a time. 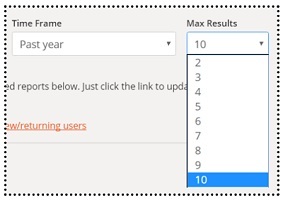 Let us select 10 from the ‘Max’ drop down menu and then click on the ‘Create Trend Report’ button. Now if you look at the ‘All Results’ chart, you can see two arrow buttons on the right hand side. You can use these arrow buttons, to go back and forth between different results. When using the usage trends tool, there are some caveats you need to be aware of. You probably know that, not all dimensions and metrics can be queried together. So if you try to do that, with the ‘usage trends’ tool, you are going to see an error message. Let me show you, what i meant. I select the impressions metric from the drop down menu and ‘user bucket’ as dimension. Now i click on the ‘create trend’ report button. (400) Selected dimensions and metrics cannot be queried together. You are going to see this error message whenever you try to query the dimensions and metrics which should not be queried together. You can close this error message by clicking on the X button here. Otherwise this error message will continue to appear. Another example, where you will encounter issue, while using the ‘usage trends’ tool is, when you try to query the data which is not available in your reporting view. For example, let’s say i selected ‘source/medium’ as ‘dimension’ and then i clicked on the ‘create trend report’ button. The view doesn’t have any data for the selected dimensions and metrics. These are some of the issues you need to be aware of, when using the usage trends tool. But overall the tool is easy to use and can help you lot in your data analysis. All right. That’s all for now. If you have any question about this tool then contact me. It is available on all Amazon marketplaces, worldwide. For more in depth, hands on training, join my ‘Web Analytics Training Course’. And I hope to see you very soon.